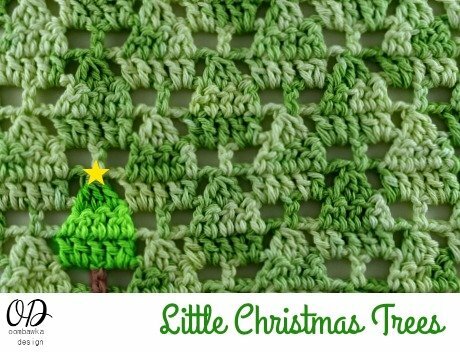 Perfect for the holidays this stitch pattern resembles little Christmas Trees! 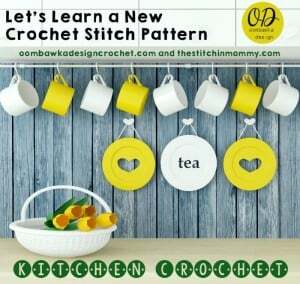 When it is crocheted in a solid color it looks like a butterfly stitch crochet pattern! 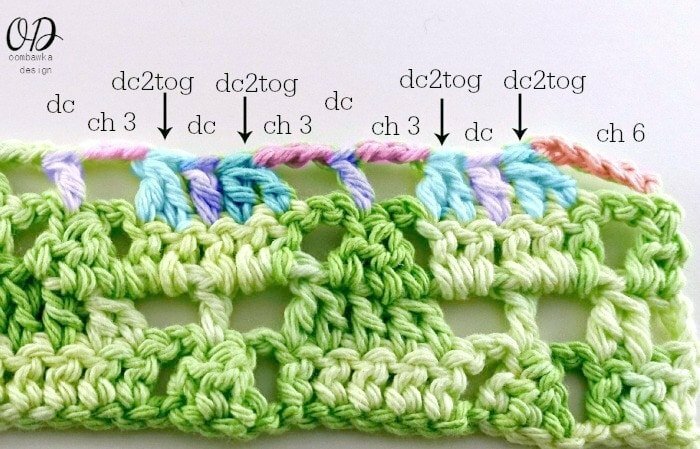 Learn how to crochet the stitch by following my step-by-step photo tutorial and try the free patterns included in the post! Hook: 4.0 mm (G); 4 inch square sizes uses a 5 mm (H) Orange Osage Hook. For the 6 inches by 6 inches, 12 inches by 12 inches and optional edging please scroll to the end of the post! A 4 inch by 4 inch square has been added to the end of the post. 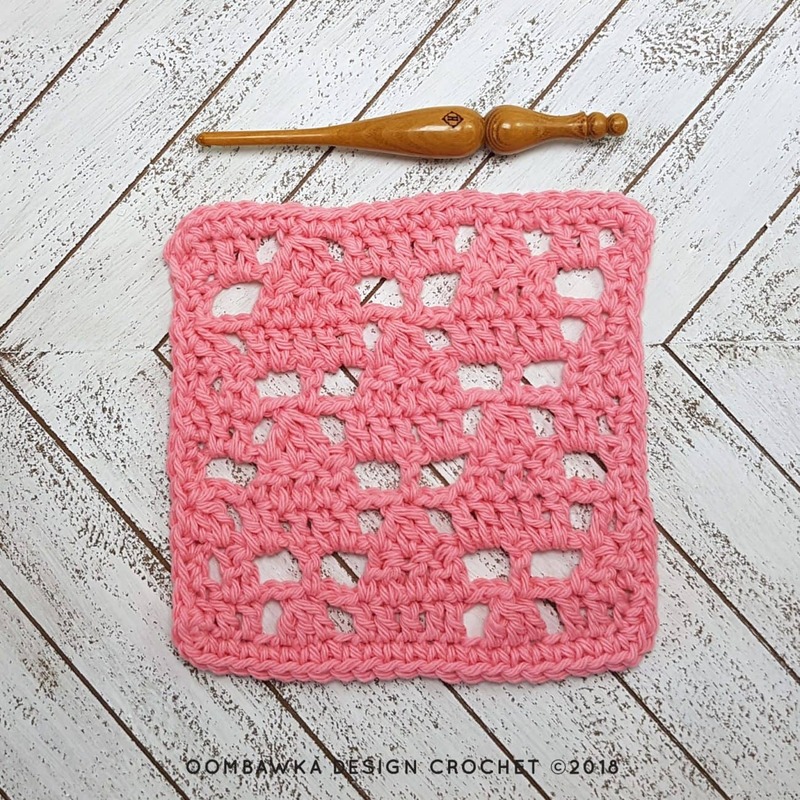 To crochet this square you need a 5 mm (H) hook. I used a 5 mm (H) Orange Osage Hook. Rep from R2 to R5 three more times. Do not turn at the end of the final R5 repeat. Note: As long as you use the same number of sc per side it is not imperative you work 34 sc. 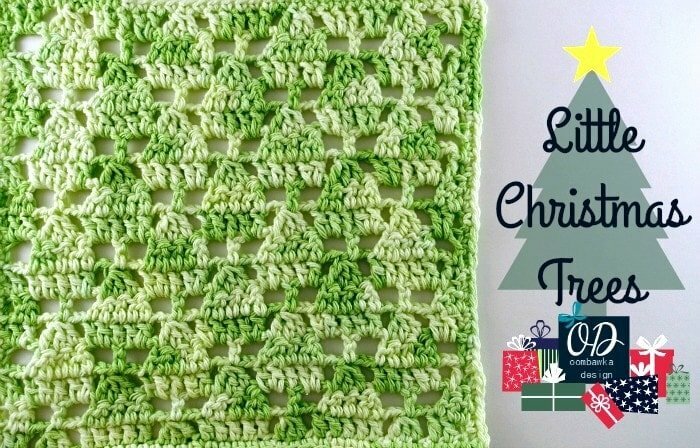 Just keep it consistent or your square will not look square when you are finished! R1: Ch 1, work 34 sc evenly down the side edge, work 3 sc in the corner st. Turn. R2: Work 34 sc evenly across the bottom edge, work 3 sc in the corner st. Turn. R3: Work 34 sc evenly across the side edge, work 3 sc in the corner st. Turn. R4: Work 34 sc evenly across the top edge, work 3 sc in the corner st. Finish off with an invisible join and weave in ends. 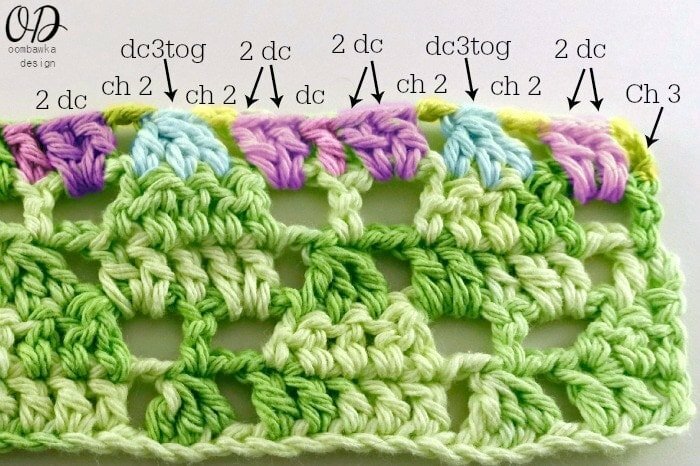 The stitch pattern and 4 mm hook result in a square size of approximately 5 inches – the edging rounds have been increased to compensate to reach a 6 Inch Square. For a square closer to 6 inches please scroll to the end of the post for the square instructions provided for using a 5 mm (H) hook. 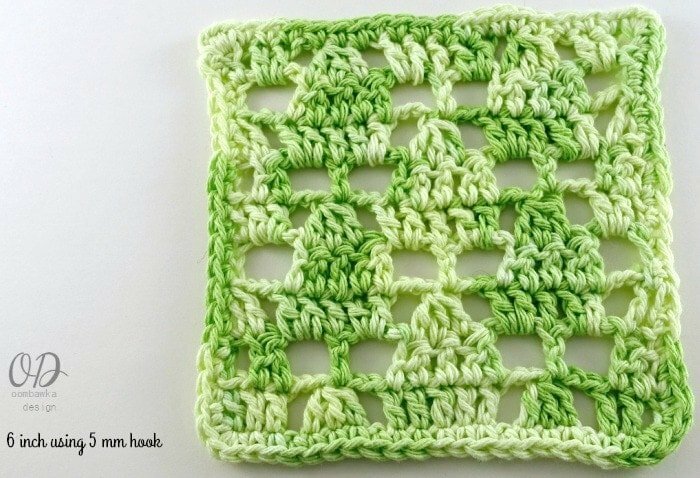 This does make the square look slightly different as the stitches are not quite as streamlined. I’ve included a finished square image using the 5 mm hook at the very end of this post. Rep from R2 to R5 one more time. Rep R2 and R3 one more time. Do not turn at the end of the the R3 repeat. R1: Ch 1, work 22 hdc evenly down the side edge, work 3 hdc in the corner st. Turn. R2: Work 22 hdc evenly across the bottom edge, work 3 hdc in the corner st. Turn. R3: Work 22 hdc evenly across the side edge, work 3 hdc in the corner st. Turn. R4: Work 22 hdc evenly across the top edge, work 3 hdc in the corner st.
Rep R1-R4 working a sc in place of each hdc. Work 3 sc in each corner stitch. Finish off with an invisible join and weave in ends. Rep from R2 to R5 four more times. R1: Ch 1, work 46 sc evenly down the side edge, work 3 sc in the corner st. Turn. R2: Work 46 sc evenly across the bottom edge, work 3 sc in the corner st. Turn. R3: Work 46 sc evenly across the side edge, work 3 sc in the corner st. Turn. R4: Work 46 sc evenly across the top edge, work 3 sc in the corner st. 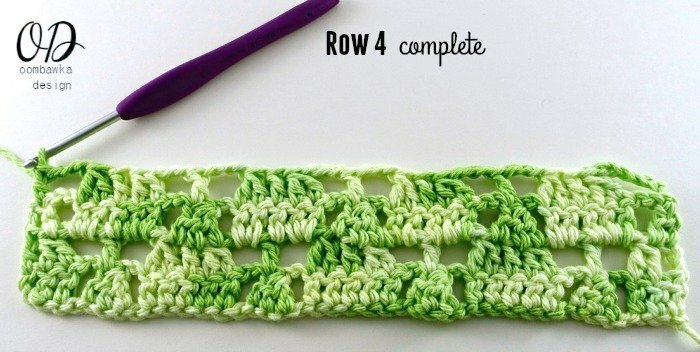 Finish off with an invisible join and weave in ends. Note: As long as you use the same number of sc per side it is not imperative you work 22 sc. Just keep it consistent or your square will not look square when you are finished! R1: Ch 1, work 22 sc evenly down the side edge, work 3 hdc in the corner st. Turn. R2: Work 22 sc evenly across the bottom edge, work 3 hdc in the corner st. Turn. R3: Work 22 sc evenly across the side edge, work 3 hdc in the corner st. Turn. R4: Work 22 sc evenly across the top edge, work 3 hdc in the corner st. Image below is the 6-Inch Square using a 5 mm hook. Thank you! 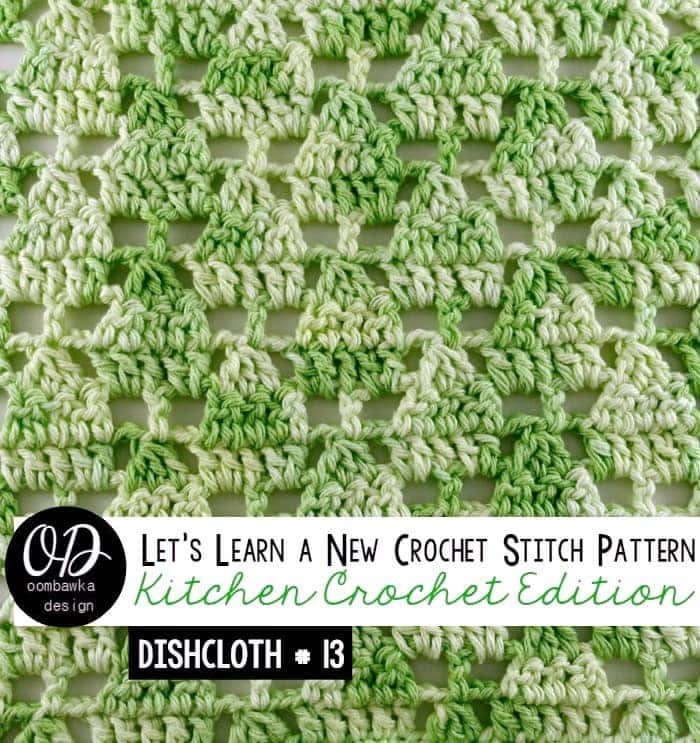 This stitch pattern is just perfect for this time of year! So cleaver!!! you also say 22 sc on each side but typed: Note: As long as you use the same number of sc per side it is not imperative you work 34 sc. Just keep it consistent or your square will not look square when you are finished! i know that these errors are probably from cutting and pasting, but someone newer than i might not be able to figure this stuff out and have a heck of a time, lol :D! !